Earlier this month, Spider-Man was introduced into the Marvel Cinematic Universe through Captain America: Civil War. Tom Holland’s performance was praised by numerous critics and fans, and his Peter Parker is returning next year for Spider-Man: Homecoming. However, the Web-Slinger isn’t just getting live action attention on the big screen. Last year, it was announced that Sony is working on an animated Spider-Man move that is unconnected to the MCU. Now it’s being reported that it won’t be Peter underneath the mask in this movie, but Miles Morales instead. 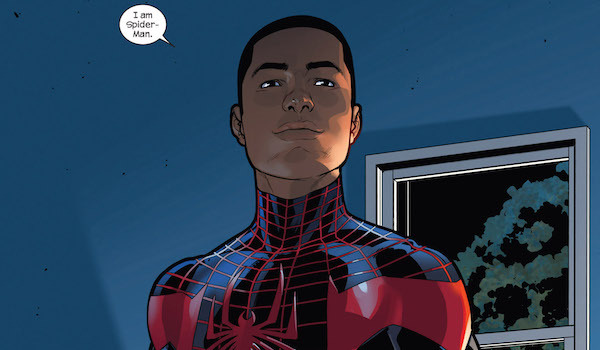 While Peter Parker is having his MCU adventures, Heroic Hollywood has heard that Miles Morales will be the focus of the animated Spider-Man movie. No plot details were revealed, so it’s unclear whether Peter Parker preceded him in this world or if Miles will be the only Spider-Man ever. Either way, if this rumor ends up being true, it will be his biggest media appearance yet, introducing him to people who don’t read the comics on a regular basis. Miles’ inclusion would also add more diversity to the world of big screen superheroes, as he is half African American and half Latino. The report later mentioned Miles Morales: The Ultimate Spider-Man and The Ultimate Spider-Man: Miles Morales as working titles. Miles was created by writer Brian Michael Bendis and artist Sara Pichelli in 2011 for Marvel’s Ultimate universe continuity. Like Peter Parker, he was bitten by a genetically altered spider, and in addition to getting trademark Spidey powers like super strength and wall-crawling, he also received his own unique abilities, like camouflage and a venom blast. After Peter Parker "died" (it didn’t stick, no pun intended) at the hands of the Green Goblin, Miles took over as the new Spider-Man not long after. 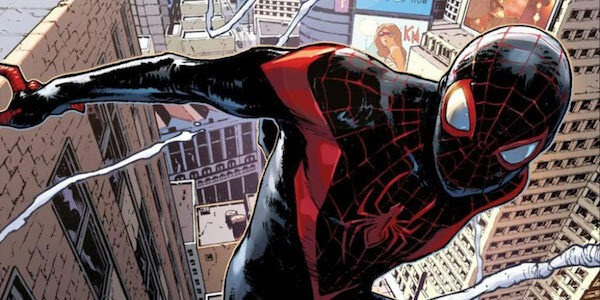 Despite the Ultimate universe being destroyed during Secret Wars, Miles was brought over into the new main Marvel universe, and he is now serving as New York’s City main Spider-Man and a member of the Avengers while Peter Parker is galavanting across the globe for his company. Outside of the comics, Miles was voiced by Donald Glover and Ogie Banks in the Ultimate Spider-Man animated series. Because the MCU’s Peter Parker is still early into his crimefighting career, it would be a while before this continuity would reach a point where Miles could be thrown into the mix. Placing him as the lead in the animated movie is a great way for him to shine on a much larger scale. Peter has already appeared in six movies and counting, not to mention numerous animated shows and video games. Let Miles grab the spotlight for this particular project. The animated Spider-Man movie will swing into theaters on December 21, 2018.